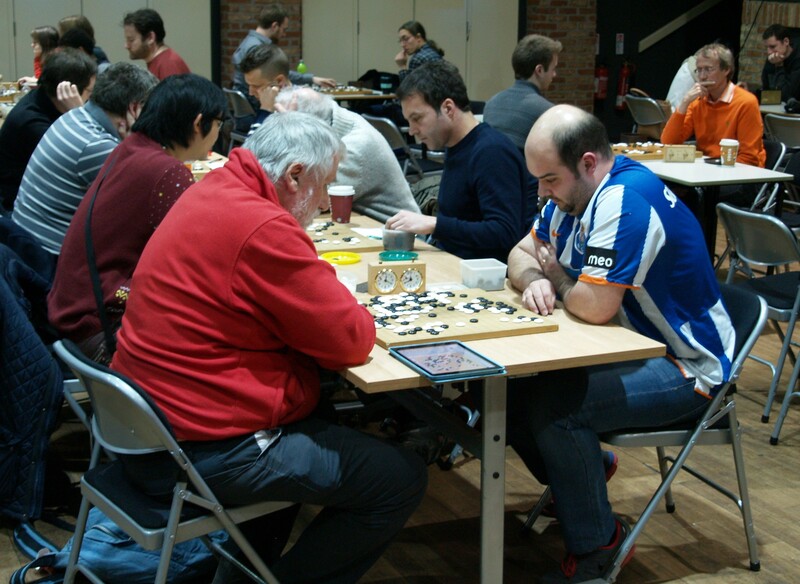 The 2014 London Open got under way 15 minutes late on Sunday 28th December after a repairing. 108 players in all are expected, with 101 already playing. 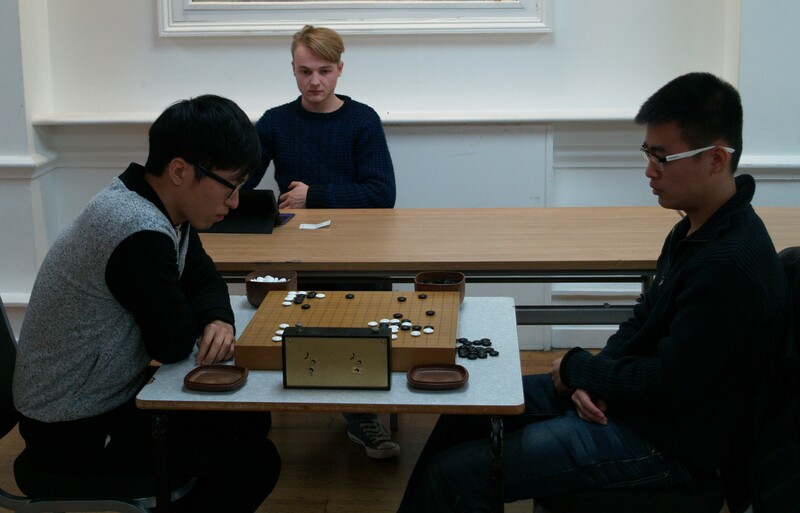 As usual a large number of players are from outside the UK, with many strong Chinese players as well as players from several European countries. Also present are three professionals: Fan Hui from France, Dongeun Choi from Korea and Hajin Lee, the IGF Secretary. Again the venue is ISH at the top of Great Portland Street convenient for seeing London and providing accommodation for those staying over.